This wasn’t the way Joseph Romanick pictured it. He had been through enough already. The native of Slidell, Louisiana, was 17-years-old when Hurricane Katrina ravaged his hometown and forced him to abandon nearly everything he owned. “The worst memory I have from Katrina is standing in my driveway when I first arrived home. Everything I ever knew had been destroyed,” recalled Romanick. He relocated to three different homes, including one in Atlanta, before he could return home to rebuild. It was long hours and hard work. But he did it. School in the morning, football practice in the afternoon, and then construction with his parents at night. His days were long and his nights restless. He struggled in high in school and barely graduated and college was put on hold. He earned a scholarship to a Maine prep school and excelled. He became eligible for Division II and III football and schools were interested in the Louisiana quarterback. It was a fresh start. It was New York – not quite Manhattan, not quite upstate. It was Westchester County, and as much as he loved Louisiana, he needed something new. After his home was rebuilt, it was now time to rebuild his life. At Pace, he had a shot to compete for the starting quarterback position, made new friends, and formed bonds on his new football team. He did well in school, he was popular on campus. Life was good. Then Oct. 17, 2010, happened. In the mayhem that followed after DJ was shot and killed outside of Finnegan’s Bar and Grill, four of DJ’s teammates were arrested – Joseph Garcia, Yves Delpeche, Daniel Parker, and Romanick. Romanick, a business management major, is scheduled to graduate spring of 2013. He has another year of football to look forward to but Romanick admits it’s been hard for him to move on. That night has never seemed to leave his mind and he admits sometimes it’s hard to fathom that it’s real. DJ was more than just a teammate to Romanick. He was one of his best friends. Romanick can’t put a finger on what he’ll miss most about DJ – there are too many things to list, he says. His friendship, his voice, his humor, his positive attitude, his outlook on things, his dedication to his dreams, andRomanick says he can rattle of hundreds of great characteristics. He thanks his teammates and his close friends for sticking by him. He thanks his family, for supporting him through thick and thin. “So many people have helped me through Hurricane Katrina and through DJ’s death. Each situation has changed my life drastically and I am the man I am today because of these situations,” said Romanick. Yet, there were others that didn’t support him. Romanick doesn’t get specific on who the “others” are, but he doesn’t have to. He says he learned the hard way about how some people don’t care about what others are going through because it does not involved them directly. That night in Oct. wasn’t supposed to be this way. It was just supposed to be a night out of fun, a rite of passage for all college students. He doesn’t comment on what exactly happened to DJ that night, what he saw, and his opinion of the police action. Again, he doesn’t have to. The boy who came home to find his house under four trees and nearly five feet of water became the man who watched one of his best friends’ fired upon by police. He is moving forward with a civil lawsuit against the police. It is believed that some of his teammates are doing the same. Romanick admits that he is a different person now. 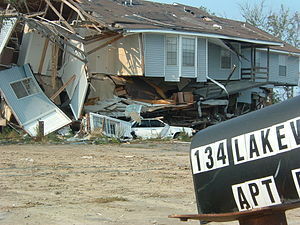 If Katrina didn’t make sure of that, Oct. 17, 2010, certainly did. His life over the past year has changed in every possible way. He has had no choice but to look at everything differently now.